After watching the experimental French film Themroc (1973), about a man who rejects society to become a city-dwelling caveman, I was amused to see its Wikipedia page say the language used in the film is “Gibberish” – meaning nonsense language. It’s true – dialogue in Themroc is minimal, and where communication occurs it takes such forms as babble, grunts, murmurs, and howls. So quite aside from its subversive politics it’s an interesting film from a linguistic point of view. Which got me to wondering: What other films belong in that category? 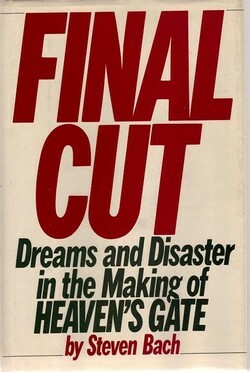 Steven Bach’s book Final Cut: Dreams and Disaster in the Making of Heaven’s Gate, is a fascinating behind-the-scenes account of a notorious film that effectively brought down the United Artists (UA) studio. Recalling an argument he had with fellow producer David Field about work politics, Bach uses the term bird-dog in a way that appears to be slang and primarily American. “In France,” he interrupted quietly. “And Alan Pakula is sitting upstairs with a pack of lousy preview cards thinking that we’re bird-dogging Mike Medavoy’s project. Is everybody nuts around here or what?” I downed the rest of my brandy and signalled for a refill. David bit his tongue and glared behind me at the wall. 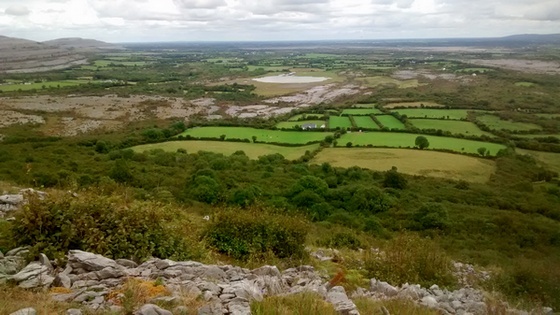 Dictionaries that include bird-dog, such as the OED, Merriam-Webster, and American Heritage, indicate other senses dating from the 1930s or 40s that come from the actions of the eponymous hunting animal: the verb has both transitive and intransitive senses having to do with following or closely watching a subject of interest, or scouting (e.g., for talent). Another sense is that of dogged pursuit, as in bird-dogging someone for information or answers. There’s also the aforementioned sense: of stealing (or trying to steal) someone else’s date. This, I would guess, led to the business-related meaning we see in Bach’s book. Despite my unfamiliarity with the usage, I was able to infer its meaning from the context. Just as well: aside from its standard meanings, bird dog has an array of (contradictory) slang ones. Jonathon Green includes seven noun and eight verb senses in Chambers Slang Dictionary, including (n.) receiver of stolen goods; one who lures victims into positions of vulnerability; an assistant, esp. in police or journalism; and (v.) to eavesdrop; to pimp for, to solicit for another person; to watch over, to protect. We shot some footage with Mick [Jagger] and the little Indian boy who is called McNamara in the film, and both of them did such a good job that the team broke into applause. During the scene Mick was bitten on the shoulder by one of the monkeys and laughed so uproariously about it afterward that it sounded like a donkey braying. Whenever we take a break he distracts me with clever little lectures on English dialects and the development of the language since the late Middle Ages. 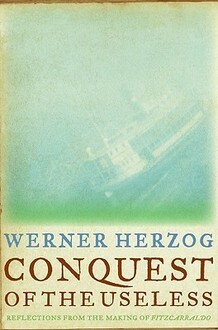 Herzog’s book is a darkly poetic account of the director’s protracted attempts to film Fitzcarraldo, the centrepiece of which involves hauling a ship over a mountain in Peru. At one point Herzog, faced with the “obscene, explicit malice of the jungle”, describes feeling “like a half-finished, poorly expressed sentence in a cheap novel.” There are no such sentences in the book, which I highly recommend. And in case you were wondering: Jagger’s role was later cut from the script, through no fault of his own.